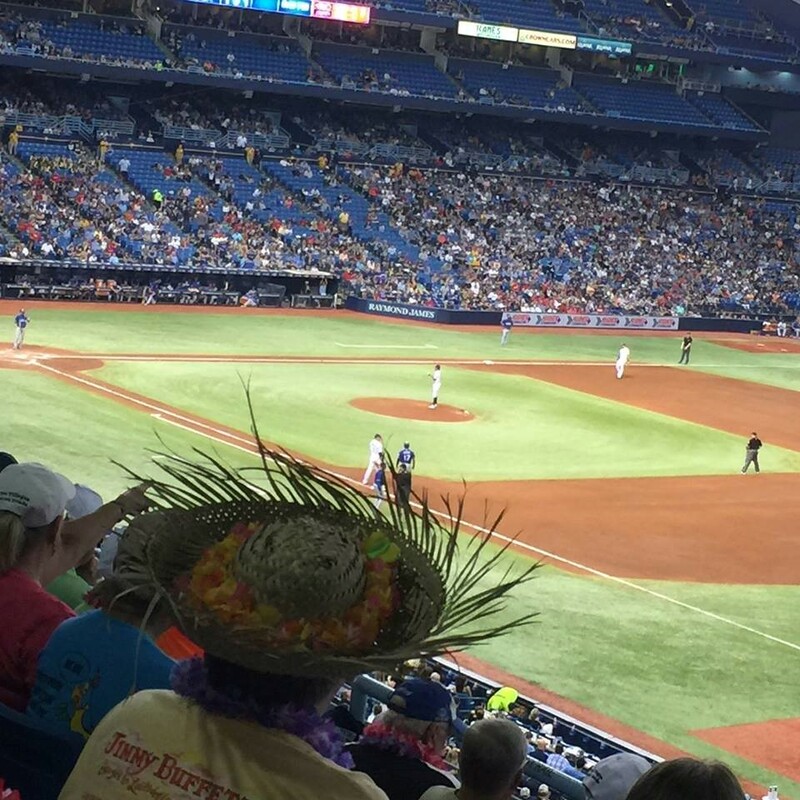 It was Fins Up and Rays Up at Tropicana Field this past Saturday when the Tampa Bay Rays hosted the Texas Rangers. 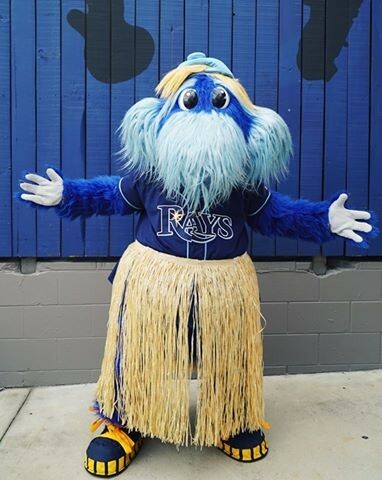 Hundreds of baseball fans on island time enjoyed a pregame concert by The De Lei’ed Parrots and went home with a Rays hat, colorful lei and DJ Kitty onesie. Hot dogs were put on the back burner for one night, as cheeseburgers, margaritas and LandSharks took over the party area. Rays pitcher Chris Archer had a quality start, striking out 11 in seven innings of work. However it was a hard-luck loss for Archer in the Rangers’ 4-3 victory. 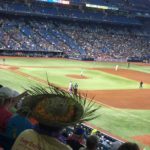 The Margaritaville baseball tour continues next week at the home of the Chicago White Sox. And those of you in the Cleveland area, save the date…Margaritaville is heading your way this summer! Stay tuned for more details soon.